As most of you that have been following our journey know, we undertook the Mongol Rally in part to raise donations to assist with the construction and outfitting of a kindergarten in (very) rural Bulgan Province, Mongolia. While preparing for the trip we had numerous events, fundraisers, and auctions as well as donations from friends and family to help out with this task. To accomplish this we worked together with my Rotary Club, West Bloomfield Michigan (District 6380), the Bayanzurkh 100 Rotary Club of Ulaanbaatar, Mongolia (District 3450), and Prison Fellowship International, Mongolia (as most of the children attending the school are the sons and daughters of the nearby prison staff). 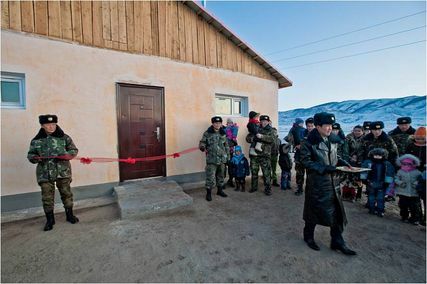 After communicating with a Rotary club in Ulaanbaatar for the past few weeks it seems as if we will be able to lend a hand in building a kindergarten some 430km south of the capital, by supplying the funds needed to purchase all outfitting materials!